Walking in the rain - with or without an umbrella - and kicking up the gold and red leaves on the ground. A big, heaping plate of fettuccine Alfredo, garlic bread, and red wine, with creme brulee for dessert (Scott and I are on a diet for the next two weeks... thus... I'm about to eat our coffee table). All of the smart, talented, and compassionate people I have "met" in my five months of blogging. That my little, baby sister is getting married to her Prince Charming in December. I'm looking forward to being the reader and get to recite one of my favorite passages from Da Big Book: 1 Corinthian 13 - you know, "If I speak with the eloquence of men and of angels, but have no love, I have become no more than blaring brass, or crashing cymbal... In this life we have three lasting qualities - faith, hope, and love. But the greatest of these is love." I'm excited about attending my first National Novel Writing Month (NaNoWriMo) event this Saturday. It's a workshop to help with plotting out your 30 day first draft - and I've been promised a rubber ducky - how can I not go? I'd also like to meet some other insane dedicated writers who are participating. Cannon Beach, Oregon -- absolutely one of my top five favorite places in the world! The other four being: Seattle, San Francisco, London, and Paris (interesting that it is the only small town on my list - but it's on the Big Pacific Ocean!). Did I mention fettuccine Alfredro? It really really makes me happy! 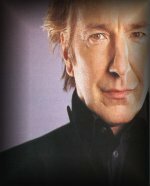 Alan Rickman and his voice makes me happy - it's so deep, rich, and smooth - like Alfredo sauce! You can enjoy for yourself here on this YouTube video. I think he's talking about me. 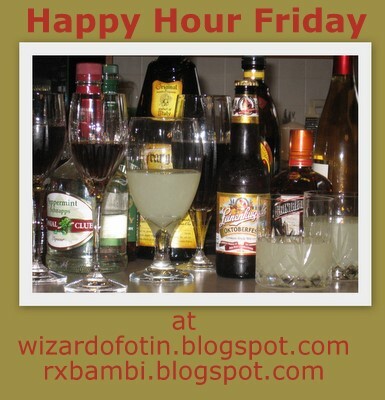 OK that's enough happiness for one day -- have a good weekend!